So my son’s nanny’s birthday was this weekend. Stupid Yahoo calendar did not remind me in time and I had to think of a quick gift for her. She is the most amazing nanny. She is loving to my son and my son just adores her. I get stopped on the street by complete strangers all the time who have seen her with my son during the week and who tell me how awesome she is. Really! Last year, I made her this scarf. This year I wanted to do something a little different and this silk charmeuse remnant from Kashi remnant bin at Metro Textile was just the thing. 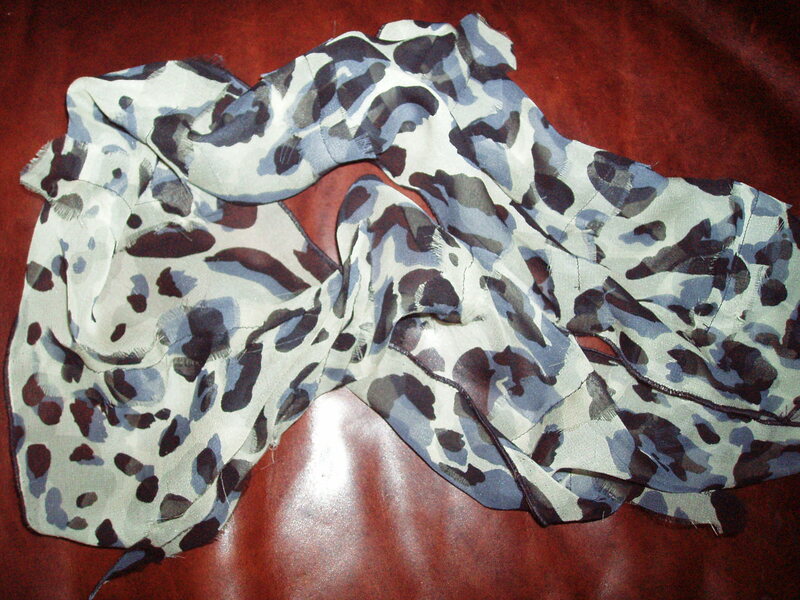 This remnant was just a little over 1 yd at about 45 inches wide, a perfect scarf size, and it feels so luxurious. The only problem was… I do not own a rolled hem foot. How to do a rolled hem without a rolled hem foot? Hmmm… Well, that’s where Pattern Review comes in. I posted a question on the message board at 4:30pm today and received answers right away. Both respondents told me to stay stitch 1/2 inch in from the edge of the scarf, press a crease at the stitching line on the inner side, cut close to the stitching line and roll the hem in. Then stitch the hem closed, rolling as you go. So I was all set tonight to work on the scarf after Jack went to bed. The only other problem was… I did not have any scraps on which to practice this new to me technique. What to do? Thankfully, my remnant had a rather wide selvedge, so I practiced a couple of times on the selvedge and thought to myself, “no time like the present.” And I just started my rolled hem. 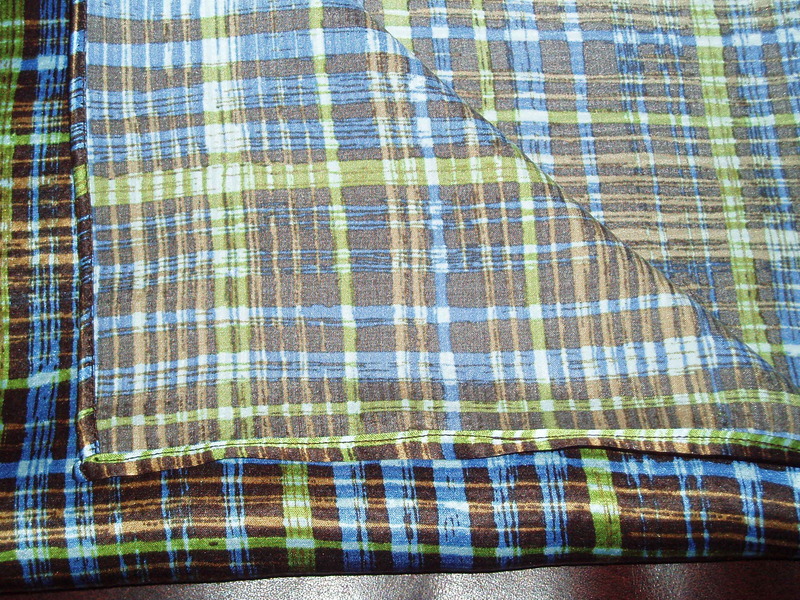 I changed only one thing to the method described above: I pressed the rolled hem so that it would be easier to sew. 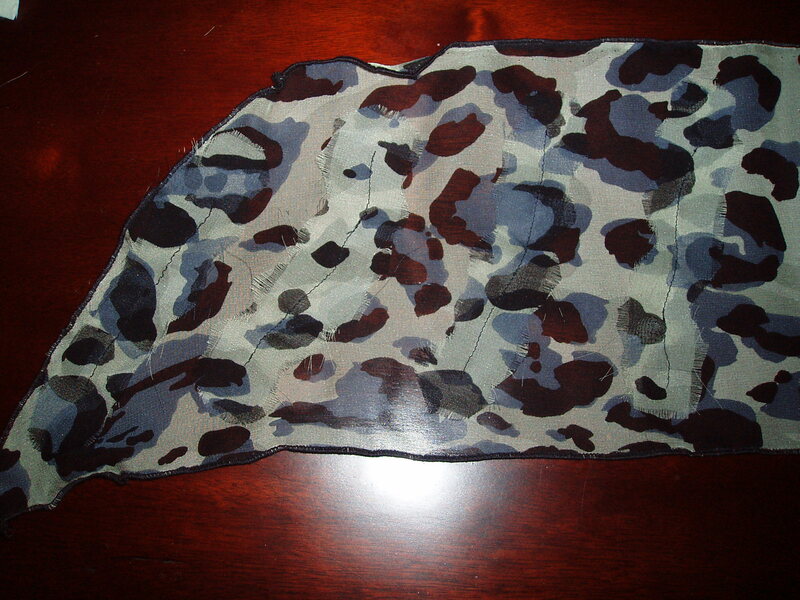 I pressed one side at a time and then sewed that side. I used silk thread and can I just take a moment to say that working with silk thread was just divine? My sewing machine loved it. She just purred along the entire time. Lovely! So here are some pictures… Nothing too exciting, but I am quite pleased with an evening’s research and work. Now I just need to get her a pin to go with it! 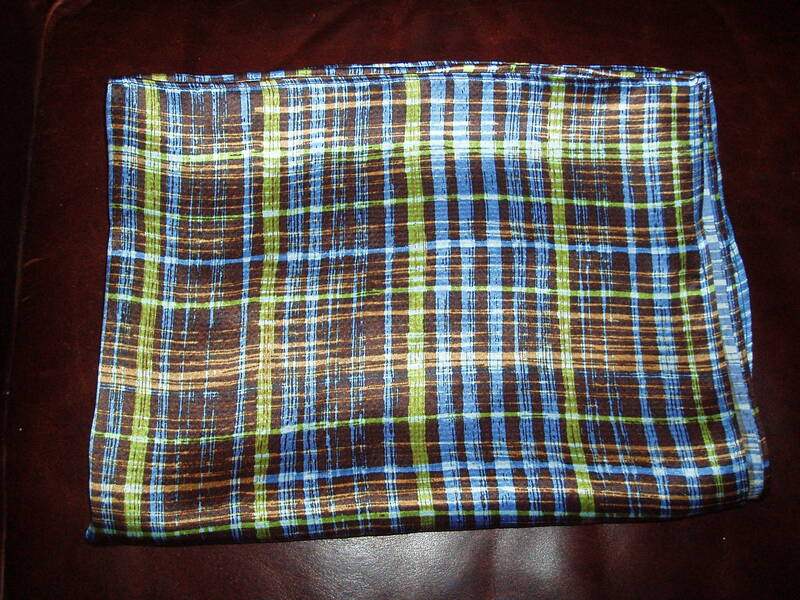 This entry was posted in Accessories, Beginner, Crafting for others, Gifts, Sewing. Bookmark the permalink. Lovely! You’ve done a great job with the hemming. It’s beautiful! You are incredible. I’m sure Anne will love it. Oh, I’ve always wondered how to do a rolled hem! Thanks! The scarf is great!! Ooh, I’ve just been trying to find out about rolled hems myself. Thanks for this. Quick work on that remnant! The scarf is beautiful. The rolled hem foot takes a little getting used to, but it is a fabulous invention. Beautiful! I want to do this too…..
You are quite clever — and quick!! That is fantastic. I really agree with everyone on the rolled hem, too. Very nice, indeed.